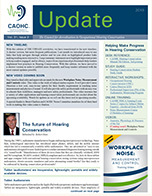 Search for occupational hearing conservationist (OHC) courses by state, country, month, year or Course Director (CD) name. For a map of all courses and locations, click here. Complimentary module introducing the Noise Measurement Course.